↑ 43,0 43,1 Schenk, Paul M.; Chapman, Clark R.; Zahnle, Kevin; and Moore, Jeffrey M. (2004) "Chapter 18: Ages and Interiors: the Cratering Record of the Galilean Satellites", pp. 427 ff. in Jupiter: The Planet, Satellites and Magnetosphere, Cambridge University Press, ISBN 0-521-81808-7. ↑ 59,0 59,1 Greenberg, Richard (2005) Europa: The Ocean Moon: Search for an Alien Biosphere, Springer + Praxis Books, ISBN 978-3-540-27053-9. ↑ Greeley, Ronald; et al. 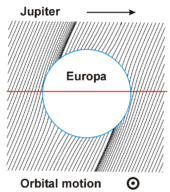 (2004) "Chapter 15: Geology of Europa", pp. 329 ff. in Jupiter: The Planet, Satellites and Magnetosphere, Cambridge University Press, ISBN 0-521-81808-7. ↑ The Journey to Jupiter: Extended Tours – GEM and the Millennium Mission. Solarsystem.nasa.gov. Retrieved on 23 July 2013. 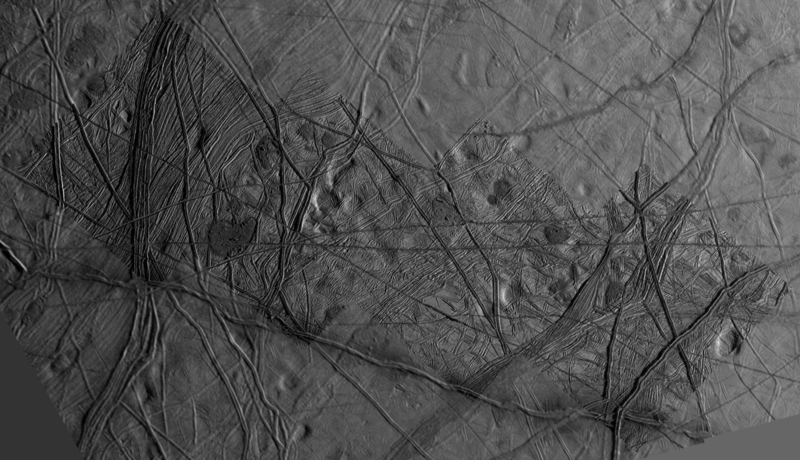 ↑ Muir, Hazel (22 May 2002) Europa has raw materials for life, New Scientist. ↑ Ringwald, Frederick A. (29 February 2000) SPS 1020 (Introduction to Space Sciences) Course Notes, California State University, csufresno.edu. ↑ March 2012 OPAG Meeting. Lunar and Planetary Institute, NASA. Retrieved on 23 July 2013. ↑ Selection of the L1 mission. ESA, 17 April 2012. (PDF). Retrieved on 23 July 2013. 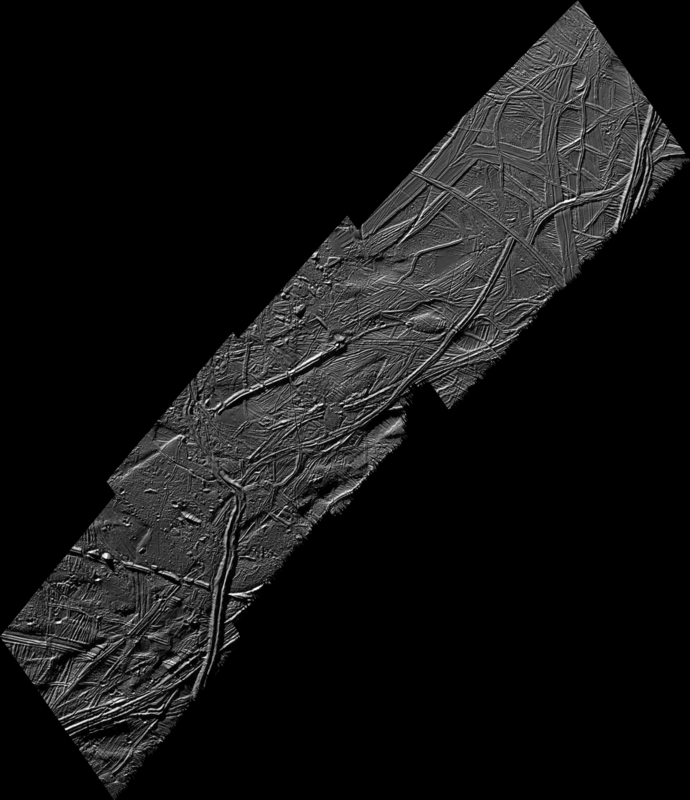 ↑ Goodman, Jason C. (9 September 1998) Re: Galileo at Europa, MadSci Network forums. 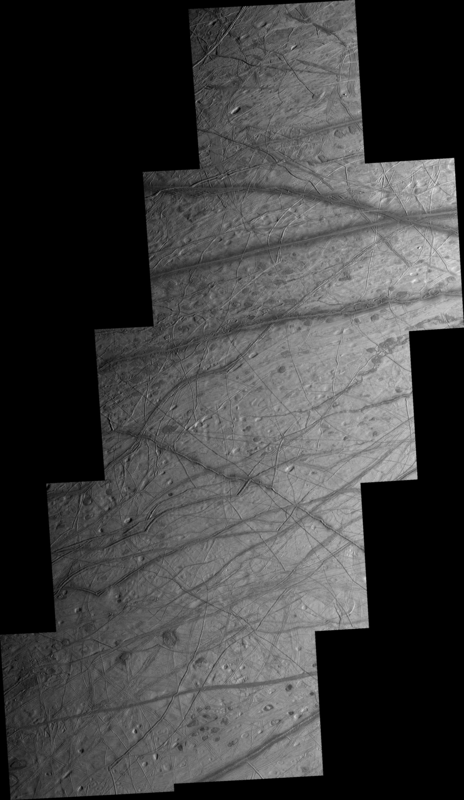 ↑ 123,0 123,1 Abelson & Shirley – Small RPS-Enabled Europa Lander Mission (2005). (PDF). Retrieved on 23 July 2013. 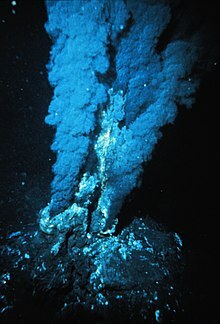 ↑ 2012 Europa Mission Studies. OPAG 29 March 2012 (PDF). 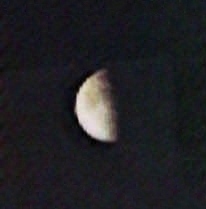 Lunar and Planetary Institute, NASA. Retrieved on 23 July 2013. ↑ Phillips, Cynthia (28 September 2006) Time for Europa, Space.com. 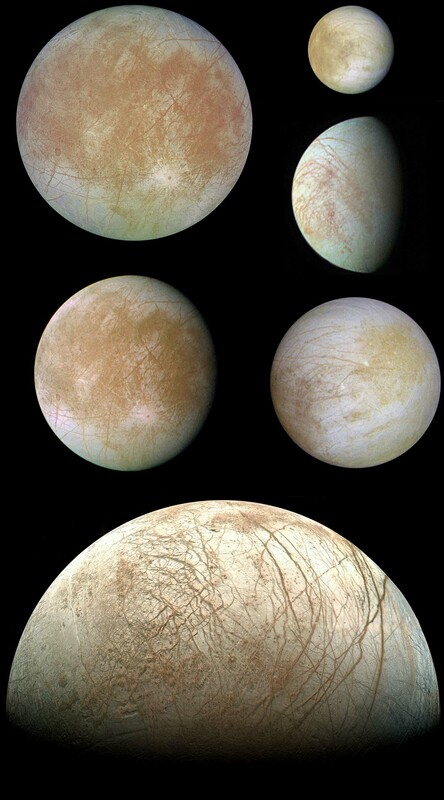 ↑ NASA – Mapping the Chemistry Needed for Life at Europa. Nasa.gov (4 April 2013). Retrieved on 23 July 2013.